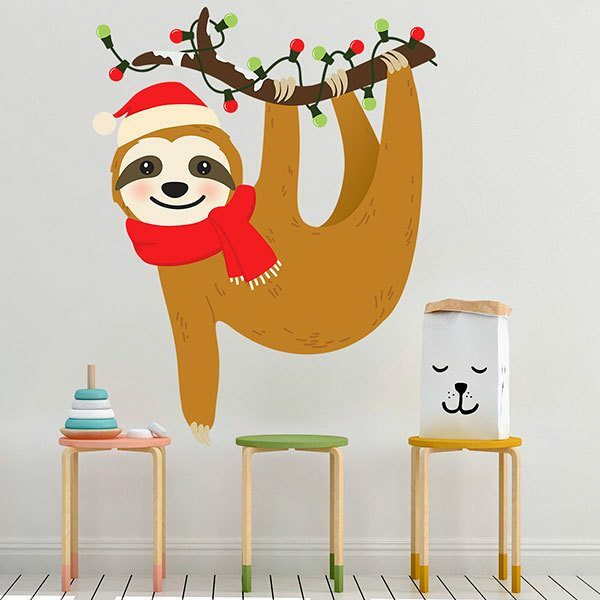 Kids wall sticker Christmas Sloth. 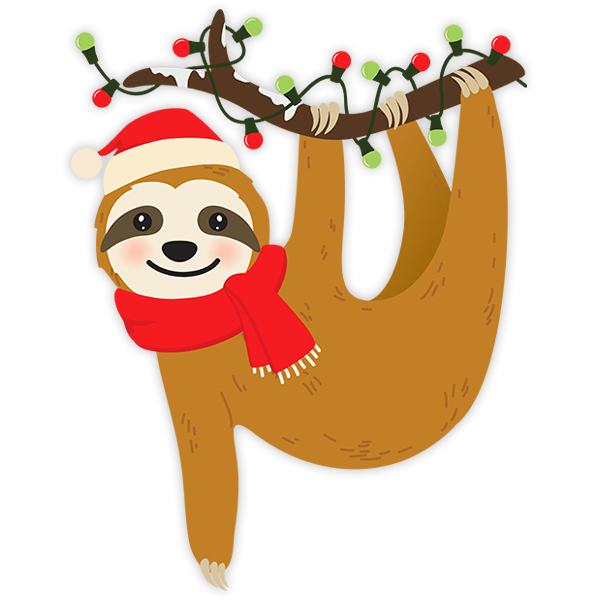 A graceful, smiling brown sloth perfectly equipped with Christmas outfits. He wears a red scarf and a Santa Claus hat and the branch he moves through has decorated it with Christmas lights. Decorate a children's room with this design. 12.20 x 15.75 in. 15.35 x 19.69 in. 18.11 x 23.62 in. 21.26 x 27.56 in. 24.41 x 31.50 in. 27.56 x 35.43 in. 30.71 x 39.37 in.